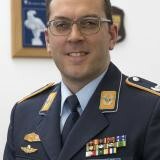 Major Daniel Pfisterer joined the German Luftwaffe in 1996 and attended Officer School in 2002. As an Intelligence Officer he has completed several staff and operational appointments, including three tours to Afghanistan as a Liaison to the NATO Special Forces Fusion Cell regarding Imagery tasks. In his current position he is heading the teaching department of the German IMINT School in Fuerstenfeldbruck and is responsible to train more than 450 students from national and international demand carriers every year.